Selling Restaurants presents a homestyle pizzeria. 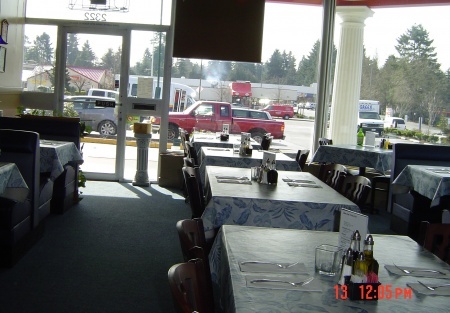 This pizzeria is very popular with the local surrounding big name businesses and residents. Help yourself to a fresh quick lunch buffet or enjoy a lingering dinner at an intimate table for two. The portions are perfect and the food is mouth watering. This restaurant is the talk of the locals, situated in an excellent corner location and end spot, it is the envy of others. The restaurant needs no changes, it is perfect. It is completely stocked with everything from Pizza ovens to dough makers to 6 burner gas stove. The sale includes a recently purchased Micro POS system that is priced alone at 16K. This setup is ideal for anyone that wants to come in and simply take over. Owner will entertain seller financing. This is an Add Alliance, Inc listingThis is a Larry Braden listing. Notice: The User (that's you reading this) of this Website understands that Larry Braden CA License #01492583 and WA License #18058 ("Broker") or its agent(s) do not audit or verify any above information given to or gathered by Broker or its agent(s) from Seller, our Client, or make any warranties or representations as to its accuracy or completeness of the information provided, nor in any way guarantee future business performance. The User should perform a complete and detailed due diligence on the business and or real estate before buying it. In some cases, forward looking statements may have been made but these statements are absolutely no guarantees of future performance of the business as each User has differing skills sets to either grow the business or kill the business. Owning a business is a risky venture, but can also be a rewarding one. The User of this website is solely responsible to examine and investigate the Business and or real estate, its assets, liabilities, financial statements, tax returns, and any other facts which might influence the User's purchase decision or the price the User is willing to pay. Any decision by User to purchase the Business shall be based solely on User's own investigation and that of User's legal, tax, and other advisors and not that of Broker or its agent(s). Any listing information may change at any time without any notice to User.